When it comes to Eversource’s Sudbury to Hudson Transmission Reliability Project proposal, we’re fighting against a corporate giant with deep pockets, rooms full of lawyers, and a laser focus on its bottom line. In this context, it’s easy to fall into the trap of concentrating on what we’re fighting against. It’s natural to be against hundred foot monopoles or 115 kilovolt transmission lines that we, as rate payers, will pay for, but get no benefit from. We’re united against an eighty two foot clear cut along the right of way and an industrial-scale project blighting a historic, largely rural community. Initially, having a common cause to fight against can unite a campaign and even a community. But ultimately, remembering what we’re fighting for will be much more energizing. Below, you can see an overview of the route the proposed transmission lines would take from Eversource’s substation in Sudbury to the Hudson Light and Power substation. A quick look at the map is a stark reminder of what we’re fighting for. All the green on either side of the line – this is what we’re fighting for. Much of that green runs through Sudbury back yards and is the very reason many moved to Sudbury in the first place. Tall trees rise up, creating a forested landscape prized by residents for its tranquil nature, its privacy, and its natural beauty, with the chance to wander into the woods right from your own back yard. And for those of us not fortunate enough to have a standing forest to explore right in our back yards, we have the benefit of conservation land. The catch is that the right of way that Eversource proposes to use as the route for its transmission lines runs straight through the middle of it, an area called the Desert Natural Area. This 900-acre ecosystem complex, within a larger area of over 4,000 acres of protected conservation land, includes: Hop Brook Marsh Conservation Land, the first parcel of conservation land bought by the town of Sudbury in 1967, and the most actively used of the town’s conservation lands. It also abuts more residential properties than any other conservation land in Sudbury; Sudbury Valley Trustee’s GFWCM Memorial Forest; Assabet River National Wildlife Refuge, one of only a handful of federal wildlife refuges in Massachusetts; and Marlborough-Sudbury State Forest, one of seventy state forests in Massachusetts. We’re fighting to preserve the natural dynamics of one of the region’s largest natural areas – unfragmented forest, wetlands and waterways that support a variety of species including scarlet tanagers, hermit thrushes, ovenbirds, ruffed grouse, and great blue herons. The woods play home to deer, coyote, muskrat, raccoon, squirrels, fisher, and beaver. 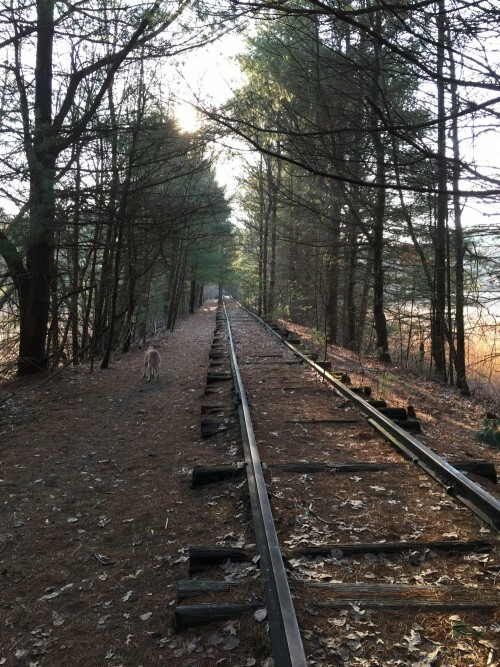 Sudbury Valley Trustees maintains a photo diary of nature sightings which most recently include a barred owl, brown creeper, deer, and fisher. The wetland and floodplain provide extensive NHESP priority habitat, and the right of way includes at least eight perennial stream crossings. The conservation area is home to ten vernal pools, breeding habitat for blue and yellow spotted salamanders and wood frogs. Two cold water streams, Cranberry and Trout Brooks, both feed into Hop Brook providing habitat for brook trout and macroinvertebrates. Crossing Hop Brook west of Dutton Road in Sudbury. We’re fighting to let the natural landscape to be managed, not mauled. Along with SVT, several bodies dedicated to conservation have come together to define overall management goals for the ecosystem complex, creating Forest Stewardship Plans based on ecological goals established by the group as a whole. These efforts will restore former expanses of Pitch Pine-Scrub Oak Barrens that support rare species including whip-poor-wills and wild lupine. Have a listen to this wondrous soundscape here, recorded in Desert Natural Area by Chris Renna in May 2015. You’ll hear prairie warbler, tufted titmouse, eastern wood peewee, chipping sparrow, northern cardinal, eastern towhee, cedar waxwing, mourning dove and eastern chickadee. We’re fighting to keep the balance of public access-to and enjoyment-of natural areas, while preserving unusual plant populations and breeding habitats. We’re fighting to avoid creating pathways for predators and invasive plants and altering the natural dynamics of the system. Eversource’s low height vegetation requirements, no matter how they are presented in its VMP, can be a barrier to the movement of bird, mammal, and amphibian species, and threatens invasive species encroachment. 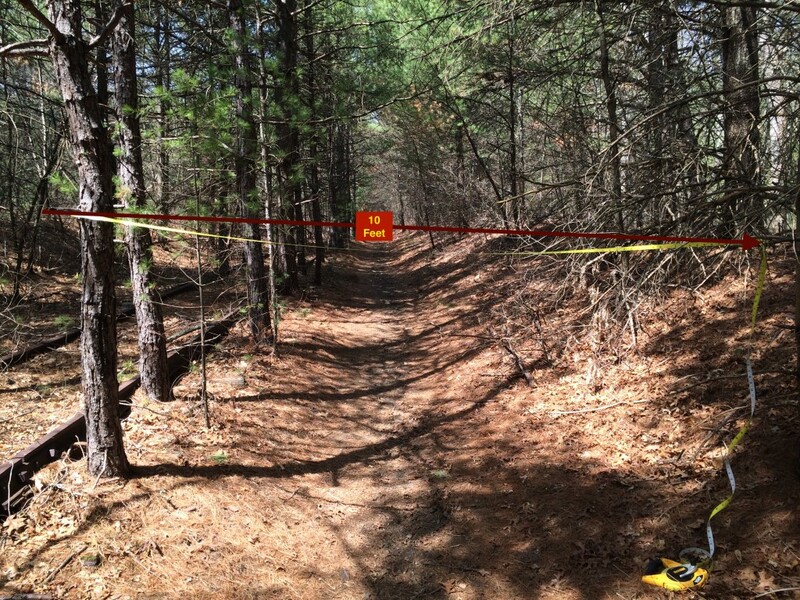 Much of the forested sections of the right of way have a pathway used by hikers, runners, bikers, and dog walkers. And it’s all on a natural scale, just right for walking comfortably in the woods while still feeling that you’re in the forest, not conquering it. In the hustle and bustle of our daily lives, it’s easy to forget all that goes on in the forest – the soothing coolness on a hot day, the filtering of the water through foliage and soils into water sources, the cover and habitat for species abundant and rare, the cacophony of bird calls, the sunlight working its way through the canopy, leaving dapples of light dancing on the forest floor. That’s what we’re fighting for – preserving a landscape that once gone will be nigh impossible to restore. Thank you Gerry. We are very passionate about trees!